Cotton Bowl: Cotton Bowl 600 mm (Cotton / Paper/ Polyamide) - 2 no. 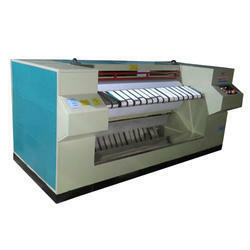 We have energed as one of the most eminent manufacturers, exporters and suppliers of an array of calendar machines. - All roller materials are EN 24 & hchcr with hot chromed. - The machine is controlled through PLC and HMI. We manufacture a wide range of Pneumatic Cot Clendering Machine that are made from stainless steel material. The use of advanced engineering techniques and modern machining facilities allows us to bring in our bolts with better precision, durability and finish. - 2 – 3 – 4 rolls calender is manufactured as per customer’s need. - Chilled C.I. rolls are supplied of required hardness. - Open or Closed type frame can be supplied as per customer’s need. Used Ramisch Calender for sale. The 2-Roll laboratory calender type «KAL» is used for treating the surface of material samples. Material surfaces are calendered in various ways under pressure and with the use of heated rollers. • For removing air trapped in Long cots of Draw frame and Combers after mounting. Three Rolls: 14" x 42"
6" x 18": 16" x 48"
8" x 24": 18" x 54"
10" x 30": 20" x 60"
It consists of two rolls of chilled casting working with Hydraulic type and heater. The surface finish of the paper is of optimum level. 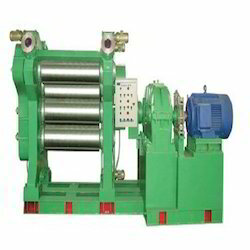 - top roller calendaring machinery is designed to remove air pockets, twist & shrinkage of top roller immediately after mounting of longer cots like draw frame, comber etc. By pneumatically operated top cover. We have a Range of Calenders with 2 Rolls/ 3 Rolls/ 4 Rolls/ 5 Rolls. Cogent Texfab Engineers I Pvt. Ltd.